Carved sixty years ago – then left to tarry in a tin roofed shed which sprung a leak – this lovely old sandstone piece was stained by rust. Rescued by a poultice, which remained in place for 30 yrs drawing the rust from the stone, its various parts have now emerged into the light of the Kerrigan stone workshop in Drumkeelan, to be finished at last. 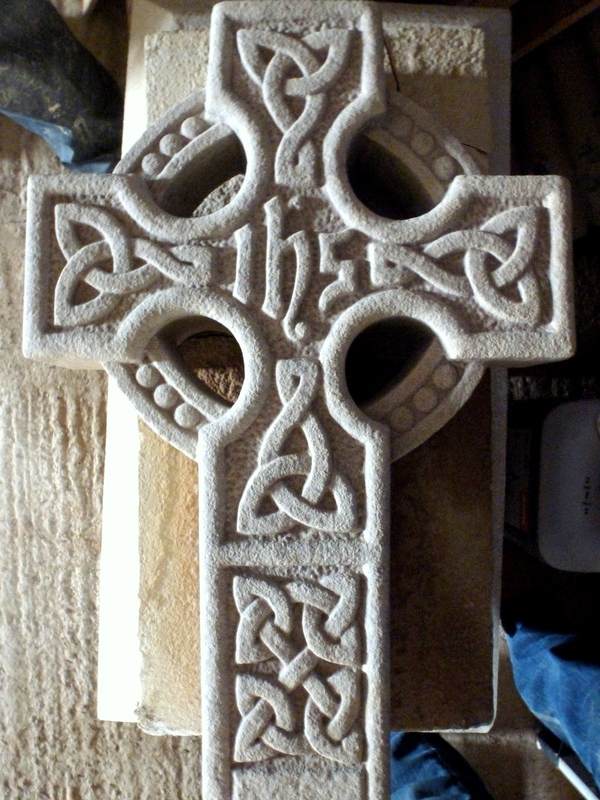 Carved before the day of computerized template, the knotwork is remarkably symmetrical. 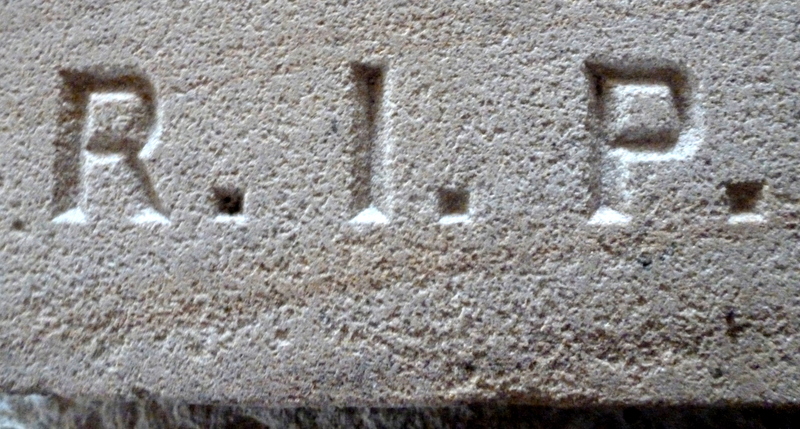 These carefully worked ‘corduroy’ markings were specific in their spacing to each mason from a given region – a unique signature. 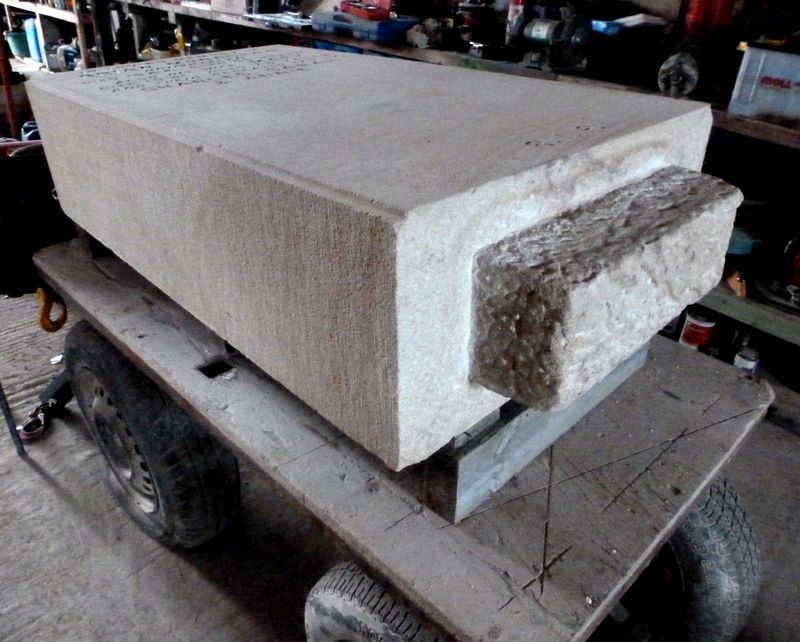 Locally quarried, the stone itself is almost buttery in texture and colour. 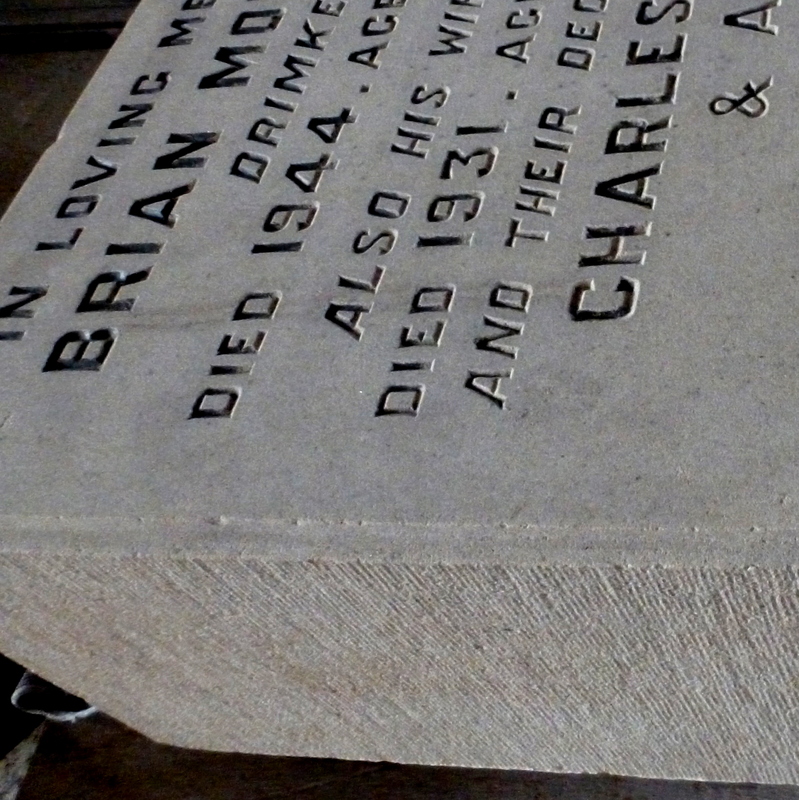 Most headstones these days come from China, but this one shall soon stand proud in Frosses graveyard. 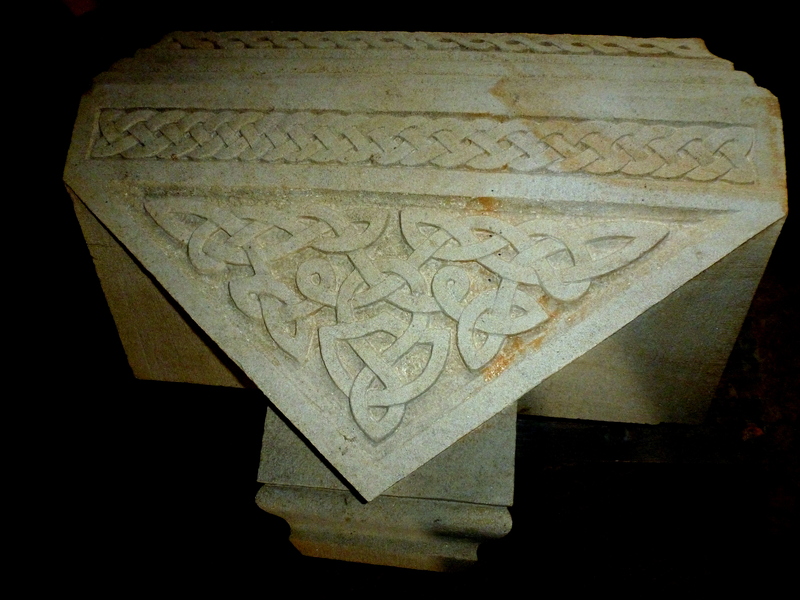 Posted in carved knotwork, drimkeelan sandstone, Gravestone, sandstoneTagged corduroy marks, headstones from China, knotwork, sandstone, stone poultice, unique signatureBookmark the permalink.